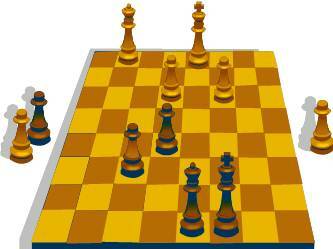 The top board between Bader Al Hajeri and Taher Al Khateeb, after a tough battle, ended up in a draw. 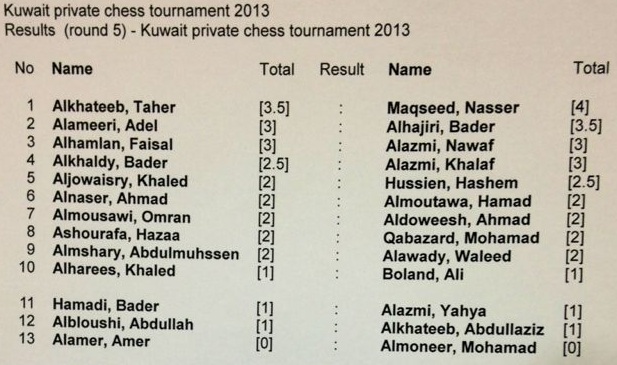 However, Nasser Al Maqseed won his game against Omran Al Moussawi, leaving him the only player with a perfect score in the tournament so far. 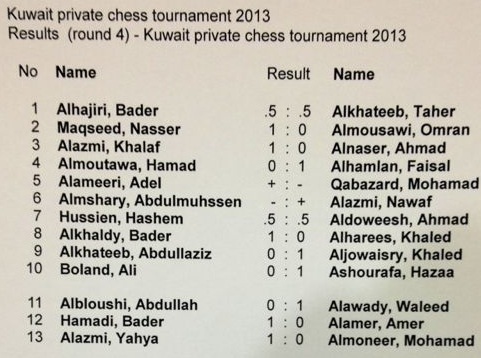 Other undefeated players include Bader Al Hajeri and Taher Al Khateeb. Tonight, the two undefeated players, Taher Al Khateeb and Nasser Al Maqseed will go head-to-head. Pictured below is Amer Al Amer, a member of the Kuwait Mind Sports Association.